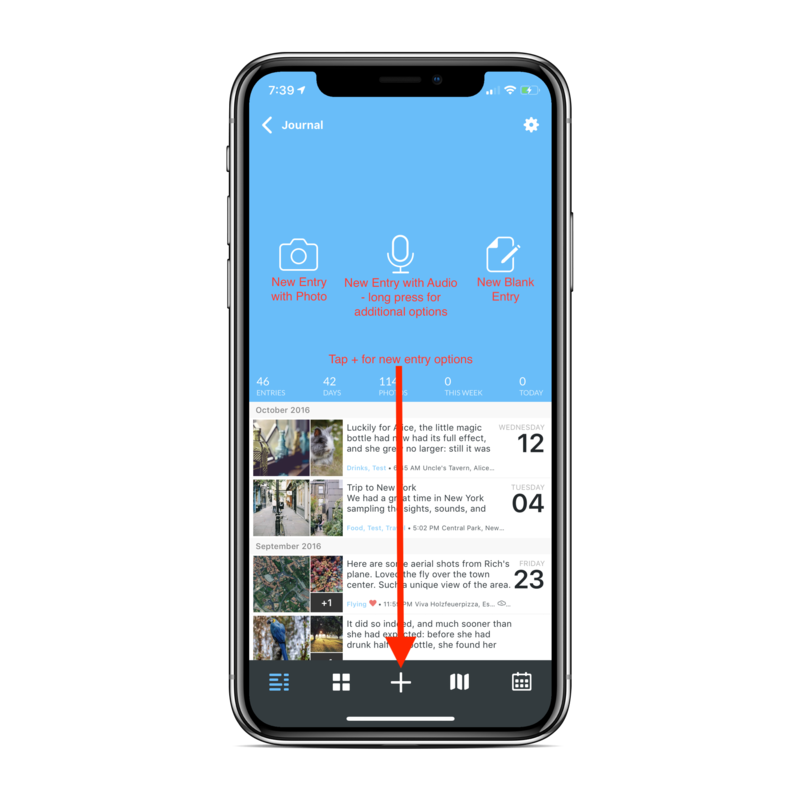 The Timeline view has been updated in our version 3 release. 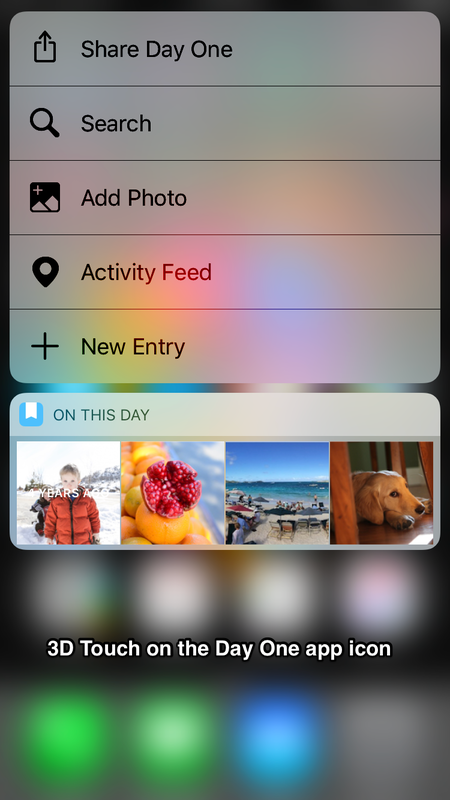 Tap the Camera icon to open the photo picker/camera option to start an entry with a photo. Tap the Microphone to begin recording an audio entry. Long press the microphone for one-time recording options. 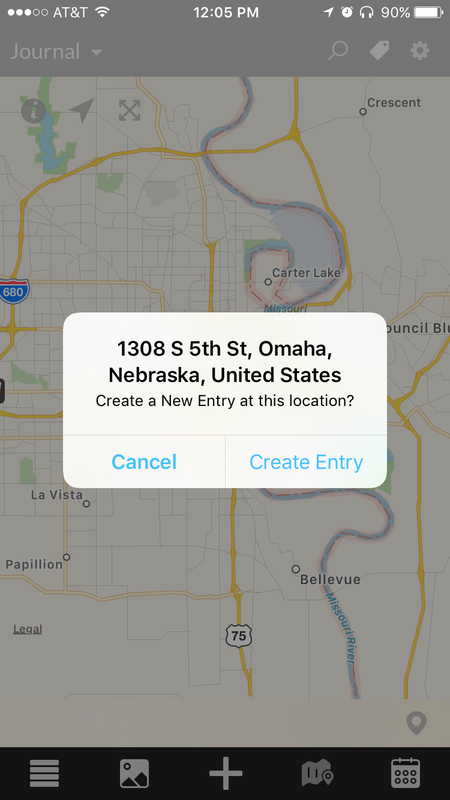 Tap the Paper/Pencil icon to create a blank entry. Audio and photos can be added later in a blank entry. Tap the + icon at the bottom of the screen to access additional options, including Activity Feed. 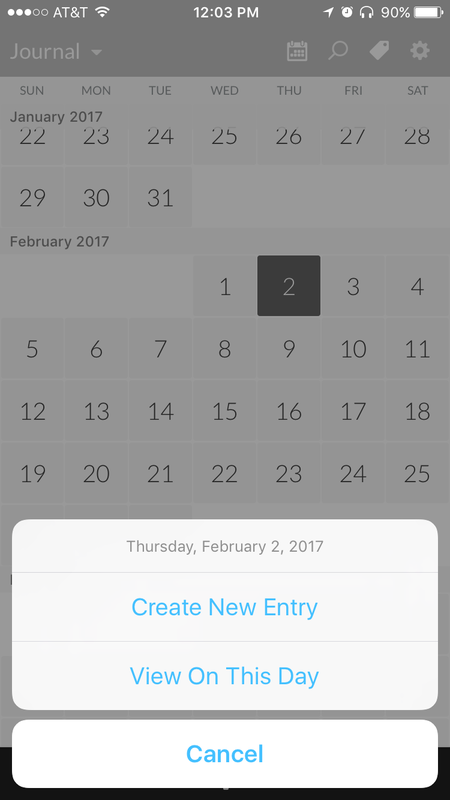 When you are in Calendar view, select the date for which you want to create a new entry, then tap “Create New Entry”.